You may not have considered Argentina on your list of places to have medical treatments but the country does have a lot offer. Not only are the exchange rates excellent but clinics in Argentina offer world class cosmetic surgeons and a comprehensive range of treatments. Medical treatments in Argentina may be an excellent option if you are already considering a holiday to this country. Medical package providers may be the best option if considering medical treatments in Argentina. People seeking treatment abroad should always research their options, with safety being the main issue. Medical providers should have a list of qualified surgeons at their disposable, and all packages should include pre-treatment consultations with the surgeon. The pre-treatment consultations can be undertaken in person or by telephone; but this should be the time to ask any questions. The questions should include safety issues including anaesthetics, post operative care, and guarantees if any complications do occur after the surgery. If you are in any doubt over the answers to these questions then you are under no obligation to continue with this medical provider and can choose to go elsewhere. This is by no means a full list of the medical treatments available in Argentina. Medical providers will have a list of all of the treatments available, and by simply emailing different providers you should be able to obtain a full list. Lower costs and no waiting time are two of the largest benefits of medical treatments in Argentina. The private clinics also have first class facilities and highly skilled staff, and most are bilingual. If there are any language difficulties then medical providers should be able to offer an assistant who will accompany the patient at each consultation. Patients should be able to undertake a range of holiday activities in Argentina if the treatment is to be combined with a holiday. How active the patient can be after surgery will depend on the type of medical treatment. Many patients may not feel comfortable travelling such a distance for medical treatment. Flights can be expensive and can take around 13 hours flying time; if any complications do occur once the patient returns home they may have to be dealt with in the UK. 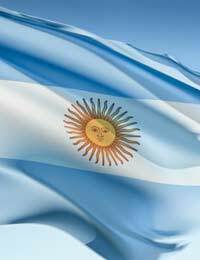 Patients who undergo treatment in Argentina are also required to sign medical agreements stating that they are undergoing surgery at their own free will. Surgeons should of course discuss all of the options available should problems arise. What is Included in a Medical Package? Fees will vary between medical providers but included in the treatment packages should be flights, accommodation, and surgical costs including pre medical tests. Some medical package providers will have guarantees that return flights and accommodation will also be provided back to the country of your choice should any post operative complications arise. Medical treatments in Argentina may be a good option if you are already considering a holiday in Argentina. However, for some patients the stress of 13 to 20 hours travelling time from the UK is not an option. But Argentina may be a good choice if you are considering a holiday in South America and are looking to benefit from quick and inexpensive cosmetic treatments.